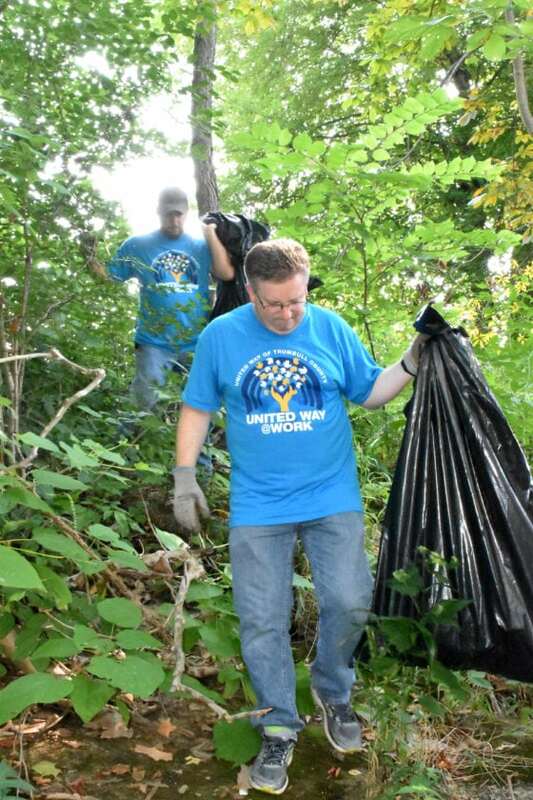 Eric Lanham, with Seven Seventeen Credit Union, works Friday to clean up the area near the river for United Way of Trumbull County. WARREN — Although the city does a “good job” maintaining Perkins Park, trash tucked away in the greenery lining the Mahoning River is often left, forgotten, until a rain event washes it into the river or it is buried under leaves and new growth, a volunteer with Friends of the Mahoning River said. But Friday, during United Way of Trumbull County’s kickoff of its 2018 campaign, volunteers traipsed through weeds and summer flowers, and over rotting logs while navigating the riverbed’s slope, to pick up the remnants of waterside drinking parties, wind blown picnic fare, rubber tires and plain old trash. “The city does a good job of maintaining the areas of the park that are used often, right by the river, but the areas harder to reach that are out of sight are often neglected. People come down here to fish and before what they leave behind can get picked up, the next rain event comes and washes it down the river, making it someone else’s problem,” said Josh Boyle, with Friends of the Mahoning River. Boyle and volunteers from the Youngstown Air Reserve Station, Seven Seventeen Credit Union and Trumbull Regional Medical Center, along with several other organizations, spent Friday cleaning out the tough to reach areas. The launch also included the United Way @ Work program. The program provides outdoor yard services for properties belonging to seniors, veterans and handicapped individuals throughout Trumbull County. The selected homeowners are verified as having property needs through a partnership with Trumbull Neighborhood Partnership, Scope Senior Services and area public officials. Eric Lanham, vice chair of the county’s United Way board and an employee of Seven Seventeen Credit Union, said the service group has been working for years on these types of volunteer projects because they like to offer the community something positive. “We want to do our part. And there are so many willing to come out. 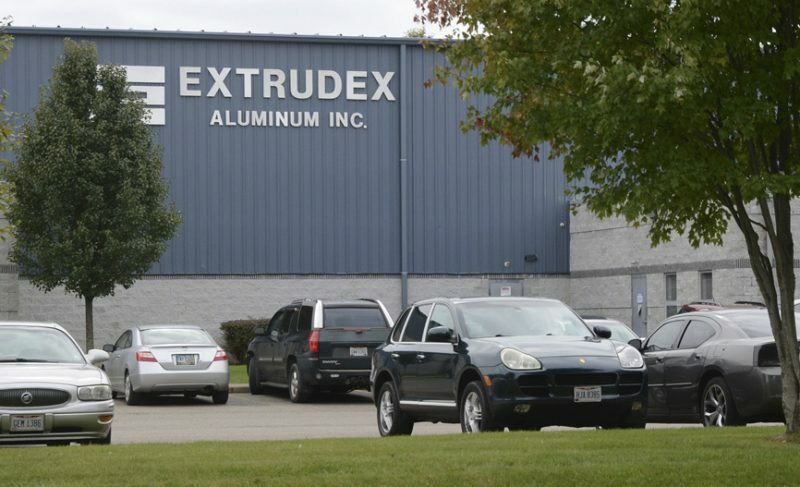 We have about 200 volunteers for various projects this year,” Lanham said. Lanham said many forget how beautiful the river is up close and picking up the trash around it might encourage more families to take advantage of the riverside. Kevin Rufener of Newton Falls, who is a veteran working at the air base as a federal employee now, said military servicemembers and veterans are accustomed to offering their time to improve the community, and it is good for children to see.